Composer and broadcaster Michael Berkeley is receiving a life-peerage, the independent House of Lords Appointments Commission has announced. (The e-commerce pioneer Martha Lane Fox is also receiving a life-peerage). Berkeley, the son of composer Lennox Berkeley, studied with Richard Rodney Bennett and has composed three operas, including Jane Eyre (to a libretto by David Malouf). His new opera Atonement (based on the novel by Ian McEwen) has a libretto by Craig Raine. He was director of the Cheltenham Festival of Music from 1995 to 2005. He has also presented the BBC Radio 3 programme Private Passions for the last 15 years. On March 16 as part of the London Handel Festival, there is an event at Grosvenor Chapel supporting the Michael Oliver Trust. A scratch performance of Handel's Coronation Anthems with people being invited to join the choir on the day, rehearsing at the Grosvenor Chapel, South Audley Street, London, W1K 2PA with a performance in the evening, all directed by Lawrence Cummings. The soloists are Emily Vine, Marie Seidler, Oliver Johnson and Dominic Kraemer , all accompanied by the Little Baroque Company. Rehearsals for the choir start at 11.00am, at the Grosvenor Chapel with the performance at 7pm. You can join the choir or simply go along for the evening performance, tickets are available from the London Handel Festival website. 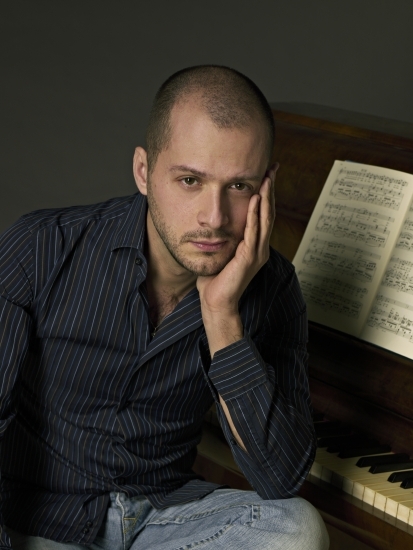 Alexander Levine is a London-based, Russian-born composer who studied both in Russia and in the UK with Gary Carpenter and Simon Bainbridge. His Divine Liturgy is a new setting of the Russian Orthodox liturgy in the tradition of Tchaikovsky and Rachmaninov. 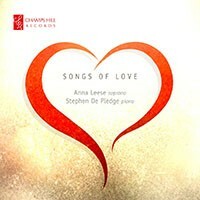 It was premiered in Russia in 2009 by Andrei Petrenko and the Mariinsky Opera Choir, is being performed in London on March 7 at the Priory Church of St Bartholomew the Great, Smithfield, as part of a launch of new recording of the work by Tenebrae, director Nigel Short, being released on Signum Classics label, SIGCD316. Last night, 26 February, we attended a private recital by La Serenissima, directed by violinist Adrian Chandler. It was a fund-raiser for their new CD, A Tale of Two Seasons which they are recording next month. The concert featured their current concert programme, which includes music from the CD performed with mezzo-soprano Sally Bruce-Payne. The programme concentrates on two seasons, 1717 and 1733, when Vivaldi was working at the Teatro San Angelo in Venice. The opera performances included Vivaldi (and sometimes his pupil the Saxon virtuoso Georg Pisendel) performing a concerto during the entracte. This meant that La Serenissima were able to mix operatic arias with concertos, and as the 1717 season included Vivaldi's concerto Il Grosso Mogul that meant that we had some fireworks. 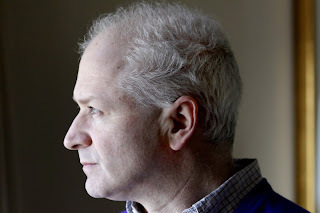 I was asked to do an interview with George Benjamin to be published on the MusicWeb International website and I accepted with alacrity because I had found his first opera, Into the Little Hill, one of the most satisfying contemporary operas of recent years and was looking forward immensely to the UK premiere of his second opera Written on Skin. My interview seemed to start under an unlucky star, of the dates proposed (via the marketing department of Nimbus), one was too soon, one was whilst I was away in Paris so I went for the last one. This latter, 26 February, was rather closer to the UK premiere of George's opera Written on Skin which he conducts at Covent Garden on Friday 8 March 2013. Not surprisingly, the day before the interview there was a flurry of emails, including George's publishers, agents, the Royal Opera House and Nimbus. At one point the interview was cancelled entirely, but space was found, crammed between the end of morning rehearsals and George's video interview for the BBC. Quite when he was going to have a break, I have no idea. As part of the new exhibition Gaiety Is The Most Outstanding Feature Of The Soviet Union: New Art From Russia at the +Saatchi Gallery they are presenting an evening of new music and music by Shostakovich on 1 March. The evening's music is inspired by and in celebration of the exhibition. 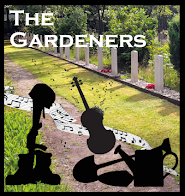 Performers include students and professional musicians from the Philharmonia Orchestra and the cross-arts collaboration ensemble Music Off Canvas. Conductor James Ross will be directing the evening. As part of a South West Composers day in Poole on 2 March 2013, the Bournemouth Symphony Orchestra and its contemporary music group Kokoro put out a call for scores. They received an amazing number, over seventy. From these eleven were chosen for performance as part of the South West Composers day, where performances and workshops will be led by composer James MacMillan. The new scores will be examined in a masterclass and performed by the Bournemouth Symphony Orchestra. The seventh English Music Festival, taking place from 24 to 28 May 2013 in and around Dorchester on Thames in Oxfordshire, will feature premieres of works by Vaughan Williams and Walford Davies, alongside new commissions and a rare opportunity to hear major works by Sullivan, Moeran, Bax and John Gardner. 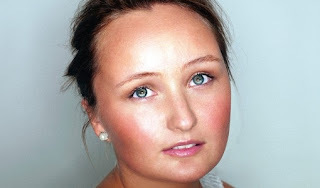 Russian soprano Julia Lezhneva is releasing her first solo recording Alleluia on Decca Classics. The disc features motets by Vivaldi, Porpora, Handel and Mozart accompanied by Il Giardino Armonico conducted by Giovanni Antonini. To celebrate the soprano is making her London solo concert debut at St. James's Church, Piccadilly on 7 March. Accompanied by Michael Antonenko on piano and organ, she is performing selections from the CD pus songs by Rossini, Bellini and Schubert. 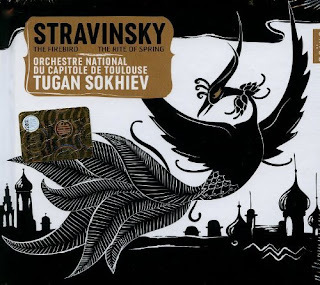 The concert is in aid of Pushkin House, the Russian cultural centre in London. Benjamin Britten wrote choral music throughout his life and some of his most dazzling, brilliant works are written for choir. But there is something slightly odd about the chronology. Though he did write for choir throughout his life, those major pieces for choir, either unaccompanied or with a single instrument, stop after the early 1950’s. It might be thought that he simply had no more to say in the genre, after all he had written The Hymn to St Cecilia, A Boy was Born, Rejoice in the Lamb and the Five Flower Songs. But there is also A.M.D.G written in 1939, one of Britten’s most direct and powerful utterances, then withdrawn by the composer and never heard in his lifetime. Of course, there were such works as the Spring Symphony and the War Requiem, but it would be over 20 years before he wrote another major work for unaccompanied choir, the enigmatic Sacred and Profane, written for Peter Pears and the madrigal consort that he had created at a period when he and Britten were no longer performing together. 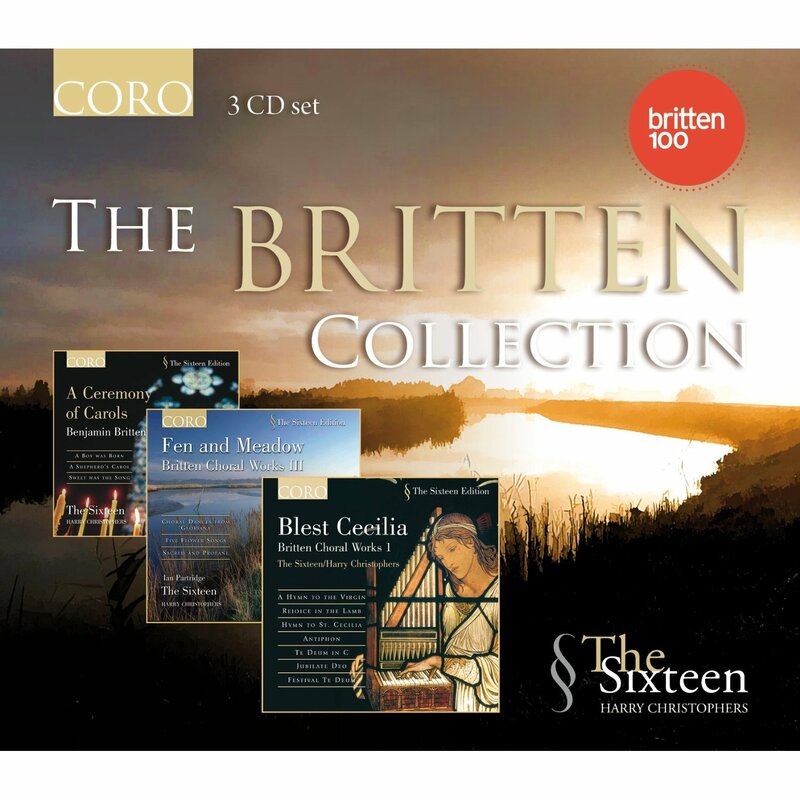 So this 3CD set of Britten’s choral music from Harry Christophers and the Sixteen is a record of a brilliant composer, but also a record of an enigma. The set is not complete, they have not recorded A.M.D.G but all the other major pieces are there, along with many of Britten’s smaller, incidental pieces. The disc are not new, they were recorded and issued separately, many briefly available on the Collins Classics label and have been repackaged by Coro. 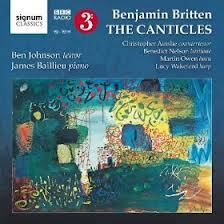 Now they have been packaged together, a testament to the sheer amazingness of Britten’s talent. The annual Jacqueline du Pre Charity Concert in aid of the Musicians Benevolent Fund takes place on Thursday 5 March 2013 at the Wigmore Hall. Guy Johnston, cello, and Tom Poster, piano, will be playing sonatas by Debussy, Bridge and Britten. The concerts take place annually in memory of Jacqueline du Pre and raise money for musical and medical charities. The Spring 2013 season of Eaton Square Concerts kick off on March 7, with a fine selection of artists on offer at concerts at St Peter's Church in Eaton Square. Pianist Leslie Howard will be performing a programme of Beethoven, Schubert and Lisxt (7 March). Then pupils from Chetham's School of Music will be performing chamber music (14 March). The choir of Clare College Cambridge bring Faure's Requiem and motets by Palestrina, Lassus, Rubbra, Victora, Casals, Ross, Tallis and Stanford. The Castalian Quartet perform Haydn, Schubert and Brahms quartets (11 April) and finally the Tippett Quartet is joined by Nick van Bloss for Schumann's Piano Quintet plus quartets by Mozart and Shostakovitch (18 April). Further information from the Eaton Square Concerts website. The opening concert in this year's Temple Song series, was a recital by the distinguished bass-baritone Robert Holl and soprano Birgid Steinberger. 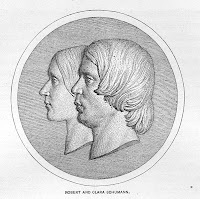 Accompanied by Julius Drake, they performed songs from Robert Schumann's Myrthen and a group of Schubert songs setting words by Friedrich Schlegel. The recital took place on 21 February at Middle Temple Hall, a profoundly historic venue but one with a nice warm acoustic suitable for a recital. The 20 finalists for the BBC Cardiff Singer of the World have been announced. They will take part in the biennial contest this year, which also celebrates its 30th anniversary. The 20 finalists have been selected from more than 400 young singers from all over the world. An initial short-list was done by DVD, then three judges including Elaine Padmore, former Director of Opera at the Royal Opera House, travelled to do auditions. The 20 singers will perform in Cardiff from Sunday 16 June to Sunday 23 June. The competition was established in 1983 by BBC Cymru Wales, past winners of BBC Cardiff Singer of the World include the very first winner Karita Mattila, Dmitri Hvorostovsky, Anja Harteros and the 2011 winner Valentina Naforniţă. Britten's canticles span virtually his whole creative life with the first, My beloved is mine appearing in 1947 after Albert Herring and the last The Death of St Narcissus in 1974 after Death in Venice. Each is written for a different combination of voice and instruments but the thread running through all of them is the tenor voice; notably the voice of Peter Pears. Ben Johnson was recently seen at ENO singing the role of Alfredo in the new production of La Traviata. This recording was made in association with the BBC. It is dedicated to Johnson's teacher, Neil Mackie, who was himself a pupil and friend of Pears, so Johnson comes from a fine pedigree. The massacre in Khojaly in 1992 is not particularly secret, if you type the details into Google you can find out a lot of information. The incident has its origins in the on-going clash between Azerbaijan and Armenia over one of their border regions; in February 1992 as part of the Nagorno-Karabakh conflict, 613 Azerbaijani citizens lost their lives in an event which has somehow been lost to popular consciousness in western Europe. As an exercise in remembrance, The European Azerbaijani Society (TEAS) has organised a pair of concerts which include the premiere of a new work by Pierre Thilloy which combines western classical and Azerbaijani musical traditions. The work receives its premiere on 21 February in Paris, and then the concert is repeated on 26 February at St Johns Smith Square in London. The Orion Orchestra will be conducted by Laurent Petigirard, himself a distinguished composer, with solo violinist Sabina Rakcheyeva and balaban player Shirzad Fataliyev. The Salomon Orchestra celebrates its 50th anniversary this year. Founded by Nicholas Braithwate in 1983, the orchestra remains one of the best non-professional ensembles in London. The orchestra started its celebrations in typically challenging style at St John's Smith Square on 19 February 2013 with a programme of Prokofiev's Seventh Symphony, Rachmaninov's Isle of the Dead and Britten's Sinfonia da Requiem conducted by Adrian Brown, who first conducted the orchestra 30 years ago. Violinist Madeleine Mitchell will celebrate David Matthews' 70th birthday at a concert at Kings Place on Sunday 24 March with a performance of Matthews' Romanza which was commissioned by Mitchell. Accompanied by pianist Nigel Clayton, Mitchell will give the London premiere of a work which she has performed at the Alwyn Festival in Suffolk and the Sound Festival, Scotland last Autumn. French grand operas written for Paris by Italian composers have a tendency to become known in their Italian incarnations, a process which can often corrupt the piece. 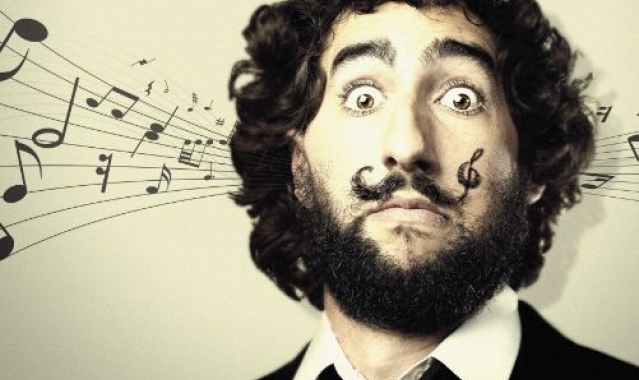 Donizetti, Rossini and Verdi all took some care to produce French language operas, and it is a welcome development that these are becoming better known in their original versions. Donizetti's La Favorite which was written for Paris in 1840 is perhaps not his greatest opera. It was hastily assembled after the rejection of the one planned for the Paris Opera, but as with much late Donizetti, there is much to enjoy. We travelled to Paris to see the new production of the opera at the Theatre des Champs Elysees on Sunday 17 February 2013. The idea of an Anglican Evening Service with orchestral accompaniment is not a common one nowadays, and I suspect few people would anticipate hearing the standard Magnificat and Nunc Dimittis performed like this. 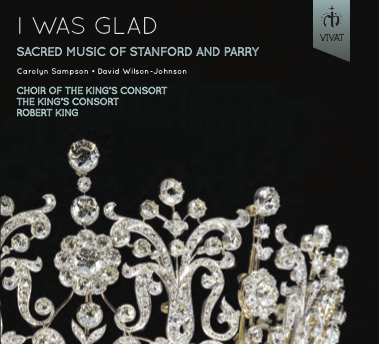 But this new disc from Robert King and the King's Consort showcases Charles Villiers Stanford's orchestral versions of his evening canticles, alongside the music of his great contemporary C. Hubert H. Parry. The disc is the group's 100th, and the first on their new Vivat label. Marc-Antoine Charpentier's Medea was produced in the period after Lully's death where the older composer's monopoly on writing opera for the Academie Royale de Musique (knowns as the Opera) dissolved. In fact, thanks to Lully's controlling hand on potential rivals, Charpentier was probably the most experienced operatic composer working at the Opera at the time. Medea wasn't his first opera, but it was his first (and only) full length grand opera. It wasn't a success and was not revived. 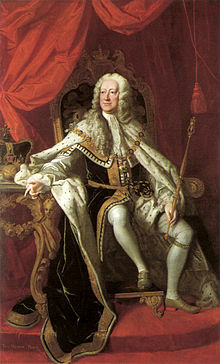 The opera was brought to modern attention by William Christie and Les Arts Florissants, and it was evidently Christie who suggested the work to Sarah Connolly. For the opera's UK stage premiere at English National Opera, Connolly played the title role in a stylish production directed by David McVicar, designed by Bunny Christie with Christian Curnyn conducting. We caught the opening night of the production on 15 February 2013 at the London Coliseum. The Orchestra of the Swan is back in London on Tuesday 19 February for a concert a London's Cadogan Hall. Conducted by David Curtis, they perform a programme of Mendelssohn, Mozart and Suk. Tamsin Waley-Cohen will be the soloist in Mendelssohn's Violin Concerto in D minor. This is the earlier of Mendelssohn's concertos for the instrument, written when he was 12 to 14 years old and scored for just string orchestra; the work was reintroduced to the public by Yehudi Menhuin in the 1950's. Waley-Cohen will also be joined by her regular recital partner Huw Watkins for a performance of Mendelssohn's exuberant Concerto for Violin and Piano, which dates from a similar period to the violin concerto. The programme is complete with the Serenade for Strings by Dvorak's son-in-law, Joseph Suk, written in 1892 whilst the composer was studying with Dvorak. Further information from the Orchestra of the Swan's website. 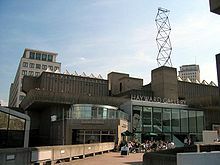 There have been a number of projects to deal with the South Bank's useful but unlovely trio of the Queen Elizabeth Hall, the Purcell Room and the Hayward Gallery. These include getting rid of them completely and starting again, and ambitious ideas to cover over the gap between the buildings and the Royal Festival Hall. But in today's economic climate such grandiose ideas are obviously out. Instead, emboldened by their successful refurbishing and re-launching of the Royal Festival Hall, the South Bank Centre is starting on the troublesome trio (what the centre calls the Festival Wing). 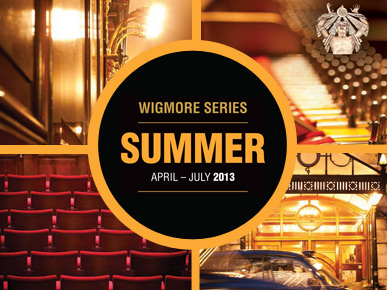 The Wigmore Hall's Summer programme starts on 1 April, with a pair of delightful concerts; Christine Rice and Roger Vignoles give a lunchtime recitall of Wolf, Mahler, Purcell, Britten and Ireland then in the evening the London Handel Orchestra under Adrian Butterfield performs Handel's La Resurrezione with Julia Doyle, Stefanie True Anna Starushkevych, Alexander Sprague and Lukas Jakobski. And the final evening concert on 27 July is given by Diana Damrau accompanied by harpist Xavier Maistrre in a fascinating programme of Schumbert, Strauss, Hahn, Chausson and more. Between these there is a glorious garden of surprises and delights ranging from a mass by Byrd to opera by George Benjamin, all three of the Schubert song cycles, Eisler's Hollywood Songbook. How to structure a recital? It could almost be a song couldn't it? But the song recital (and by extension the song recital CD) gives plenty of scope for artists to experiment. Some are content with sticking to the standard format, a tried and tested formula which doesn't fail, but which does not always leave room for much imagination. Ever since Graham Johnson started the Songmaker's Almanac (in 1976), recital possibilities have extended. This new disc from soprano Amanda Roocroft and pianist Joseph Middleton is firmly in Songmaker's Almanac territory. It takes a love affair through all its stages utilising a wide variety of songs in a selection of languages, but always with the intention of telling a story. The Bride and the Bachelors: Duchamp with Cage, Cunningham, Rauschenberg and Johns (Barbican Art Gallery 14 February - 9 June 2013) is an exhibition about the exchange of ideas across art-forms. It attempts to articulate the complex web of influence, friendship and artistic sharing that arose between the French artist Marcel Duchamp, responsible for a remarkable, revolutionary body of work up to 1923, and the American artistic constellation of John Cage, Merce Cunningham, Robert Rauschenberg and Jasper Johns from the 1940's onwards. Duchamp remains an elusive figure, starting out working mainly in paint, he worked extensively on his sculpture/painting The Bride Stripped Bare by her Bachelors, Even, before abandoning painting and producing a series of ready-mades, which questioned the very nature of art, then finally in 1923 he abandoned art entirely and devoted the remainder of his life to chess. The American artists, who collaborated and exchanged ideas from the 1940's onwards, created a body of work which helped redefine what 20th century art was. Whilst Cage and Cunningham are still linked in our consciousness, we tend to see the works of Johns and Rauschenberg as separate entities, but the four artists were close collaborators. 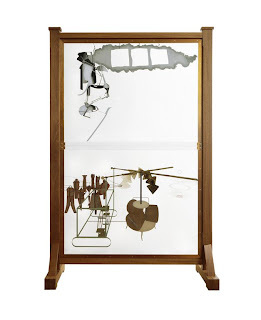 And the links to the work of Duchamp are remarkable, links both artistic and personal. Next month is a terrific one at the Barbican with a chance to see the Guildhall students in a Mozart masterpiece and a troubling examination of contemporary America. Elsewhere in the centre there is rare French baroque and rare Italian 20th century opera. Gustavo Dudamel bring the Los Angeles Philharmonic for a residency and, as we get close to Easter, one of Bach's passions makes an appearance with a terrific cast. The Institut francais in London is having an action packed three-day festival (22-24 March) covering all things piano. There are are lots of events, from concerts and films, to piano lessons for children and piano yoga, family friendly concerts, classical music and jazz. 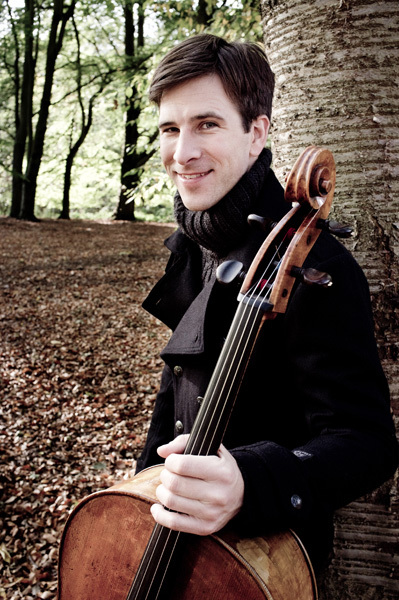 The Scottish Ensemble, artistic director Jonathan Morton, are the the Wigmore Hall again next week (21 February 2013) with an intriguing programme which includes music by Britten, Vivaldi, Gorecki, Holst and Geminiani. The concert's publicity emphasises the La Follia, with Germiniani's Concert Grosso of that name. But the two Gorecki works in the programme are equally fascinating and both look back to the past in different ways. His intriguing Harpsichord Concerto, with its modern use of an old instrument, was premiered in 1980 in Poland with Elzbieta Chojnacka playing the solo part. Jan Waterfield will be performing the solo part at the Wigmore Hall. Also in the programme are Gorecki's Three Pieces in Old Style from rather earlier in the composer's career; the pieces all integrate music from early Polish sources. And this sense of looking backwards is carried over into other works in the programme. Cambridge Handel Opera is back with a new production of Handel's Atalanta, to be performed in the West Road Concert Hall, Cambridge on 30 April and 1,3 and 4 May 2013. The cast includes Sarah Power in the title role and 2008 London Handel Festival Singing Competition winner Erica Eloff as Meleagro. The director is Victoria Newlyn with designs by Tom Oldham and conducted by Andrew Jones. Newlyn, who trained as an actress, teaches movement and drama on the Guildhall School of Music and Drama's opera course. She has done choreography for quite a few operatic productions. She also leads performance studies and historical dance sessions for GSMD's Department of Historical Performance. She was the movement director on Cambridge Handel Opera's 2009 production of Ariodante. The revolutionary nature of the Rite of Spring's premiere in 1913 meant that by the time Diaghilev came to revive the ballet, no-one could remember Nijinsky's choreography and it was re-done by Leonid Massine. Choreographers from each generation have felt the need to attempt this Everest and re-shape the work in their own image. This means that though Rite of Spring does have a continuous history of stage performance, unlike other major Diaghilev scores like Jeux and Daphnis and Chloe, it was always being continuous reinvented so that no standard dance version of the piece developed. Whereas a conductor can perform Swan Lake and be chid for not performing it as if it could be danced, this does not happen with Rite of Spring. It is performed as an orchestral showpiece divorced from its stage life. Bass Matthew Rose and pianist Gary Matthewman have a new record out, on Stone Records, of Schubert's great song cycle Die Winterreise. 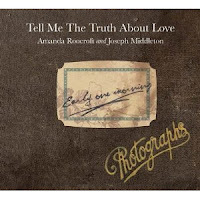 The disc is getting very good reviews and, though I have not heard the disc, I heard the two of them performing the cycle live at a private recital in 2011 and their performance was superb. But this brings me back to a subject that continually nags at me - transposition. 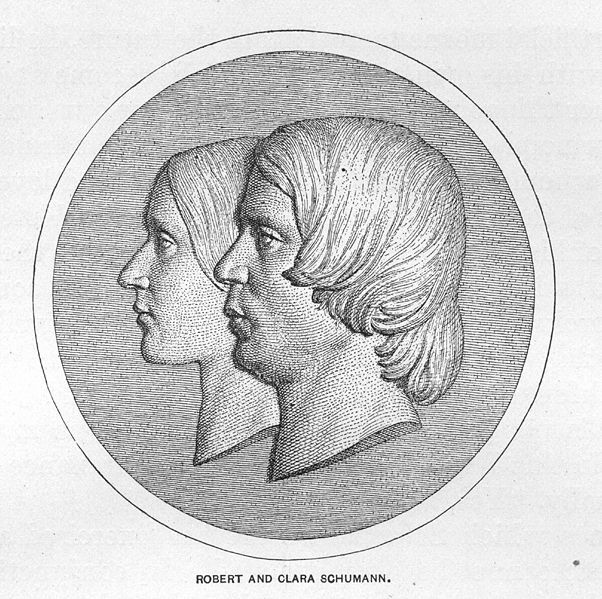 Rose performs most of Schubert's songs transposed down a fourth (Schubert's originals are for the tenor voice). Is it acceptable to shunt Schubert's piano part down a fourth, does it make any difference? I suppose the answer is in the performance. a great performance transcends the medium. But still I worry. 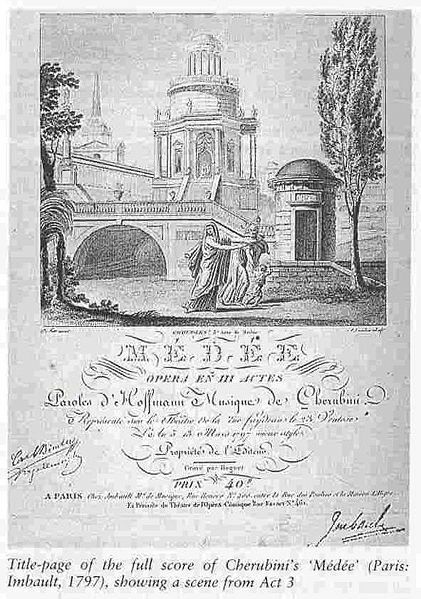 of the full score of Médée by Cherubini, 1797. The story of Medea is one which has had some fascination with composers, particularly in the 17th and 18th century, partly I think because Medea is the ultimate bad girl. She behaves badly and is unapologetic, as such she does not fit into the virgin (fallen or otherwise), whore or tart with a heart mould that most women in opera tend to. Before Carmen, Medea is one of those rare characters who is her own woman. Her story falls into two parts, first she helps Jason get the Golden Fleece, but when they return to Corinth he abandons her and in revenge she kills their children. 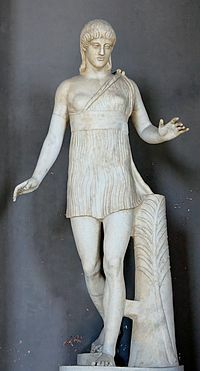 Later, in Athens she marries Aegeus but feels threatened when Theseus appears and tries to kill him, only to discover that Theseus is Aegeus long lost son. These two episodes give composers the choice between two similar plots, Corinth with the grisly killing of the children, and Athens with the less grisly but still dramatic plot. 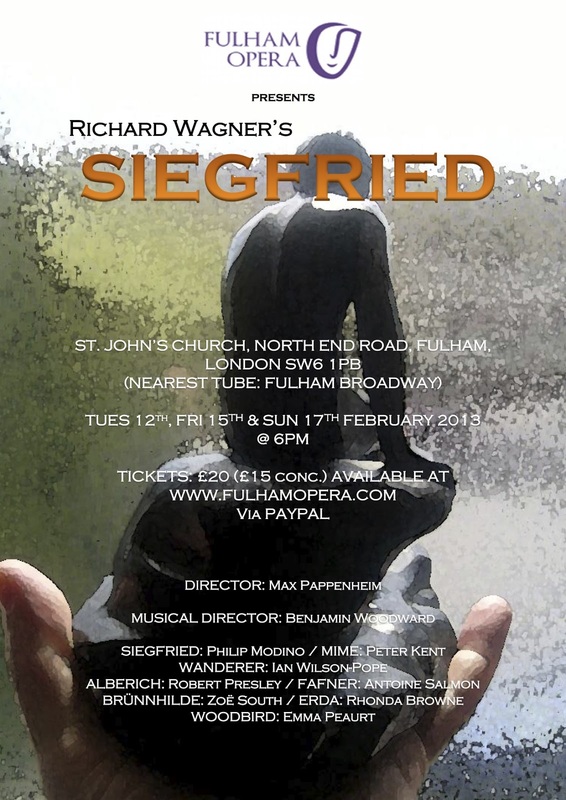 The amazing people at Fulham Opera continue their journey through Wagner's Ring Cycle with performances of Siegfried on 12, 15, 17 February at St John's Church, Fulham. Performances are fully staged, directed by Mark Pappenheim, with piano accompaniment (musical director Benjamin Woodward) with a strong cast of Wagnerian singers including Ian Wilson Pope as the Wanderer, Zoe South as Brunnhilde, Phillip Modino as Siegfried and Peter Kent as Mime. Gotterdammerung follows in November 2013, with two complete cycles in 2014. Further information from the Fulham Opera website. I Fagiolini's programme for Choral at Cadogan last night (8 February) was entitled Insalate I Fagiolini and presented as a menu with different courses, but the theme wasn't food so much as to give us a taste of a variety of secular European genres which could be loosely referred to as madrigals (though we actually got madrigals, songs, a carnival masque and a salad). Composers were from the 16th century and of a variety of nationalities - Flemish, French, German, Spanish and Italian. Styles ranged from the comically skittish to the sublime madrigals of Monteverdi, with the six members of I Fagiolini slipping effortlessly between styles. Lovers of Venetian poly-choral music have a treat in store next week. Cambridge Music Society Chamber Choir is celebrating Venice at two concerts in Cambridge on 15 and 16 February at which they will be performing music by Gabrieli, Monteverdi and their contemporaries, including Gabrieli's 33-part Magnificat and his 22-part Sonata. 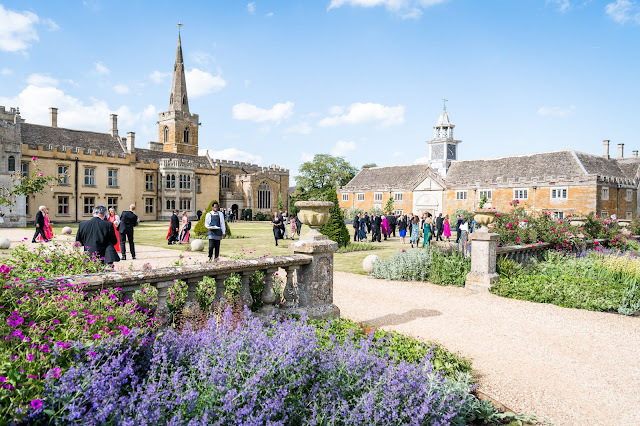 Performers include CUMS Chamber Choir, members of the chapel Choirs of St John's and Girton Colleges, Cambridge University Collegium Musicum and members of His Majesties Sagbutts and Cornets directed by Martin Ennis. 15 February at St John's College Chapel, 16 February at Girton College Great Hall, further information from the CUMS website. Rosenblatt Recitals are expanding. Having, this season, moved to the Wigmore Hall and started a partnership filming the recitals with Sky Arts, they have now announced a new partnership with the Royal Opera House's recording label Opus Arte. This will enable a series of recordings to be issued on CD and digital download. The artists involved will by Ailyn Perez, Lawrence Brownless and Anthony Michaels-Moore, with CD's released in April 2013. 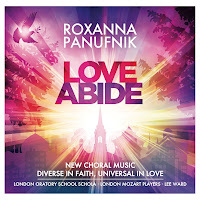 Roxanna Panufnik's new disc Love Abide has the tag New Choral Music - Diverse in Faith, Universal in Love. On the disc, the London Oratory School Schola (conductor Lee Ward), Voces8, Exsultate Singers (conductor David Ogden) and the London Mozart Players, perform a diverse variety of pieces inspired by texts from a wide variety of faiths including Sufi and Zen as well as a variety of different flavours of Christian. 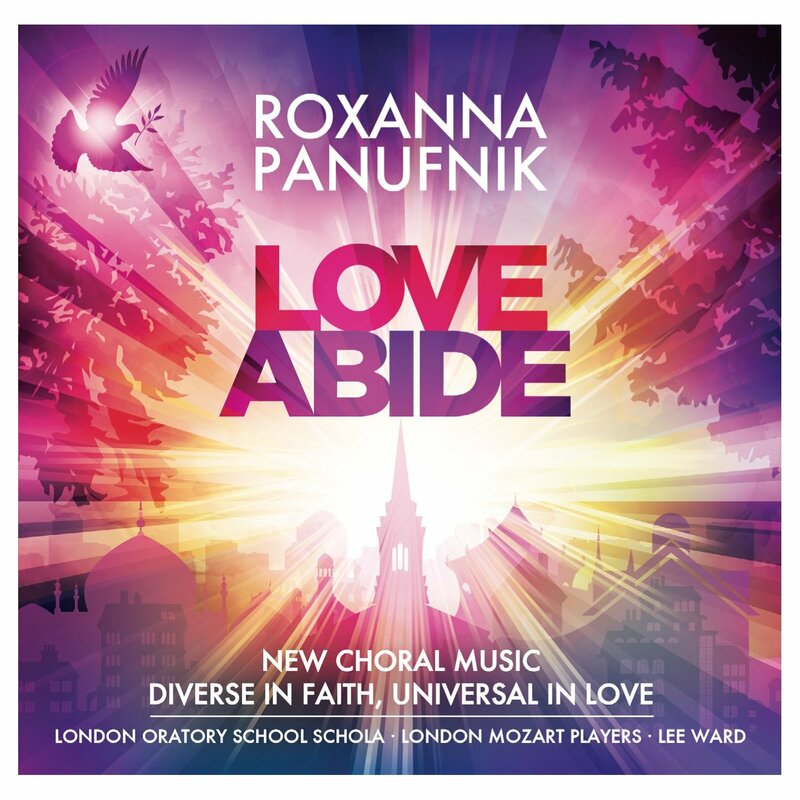 The centrepiece of the disc is Love Abide which was written for the London Oratory School Schola and sets both a text by the Sufi mystic Rumi and St Paul's Letter to the Corinthians. For those of us who can't get to Berlin on a regular basis, the Berlin Philharmonic's Digital Concert Hall is mobile, with the launch of a new app (available only for iPhone, iPad and iTouch). Free with the app is a selection of previews of live concerts, features and interviews, plus Beethoven's Fourth Symphony and Mahler's First Symphony conducted by Simon Rattle. Premium content gives you 40 concerts streamed live together with an archive of concerts, nearly all in HD quality. More information from the Digital Concert Hall website. 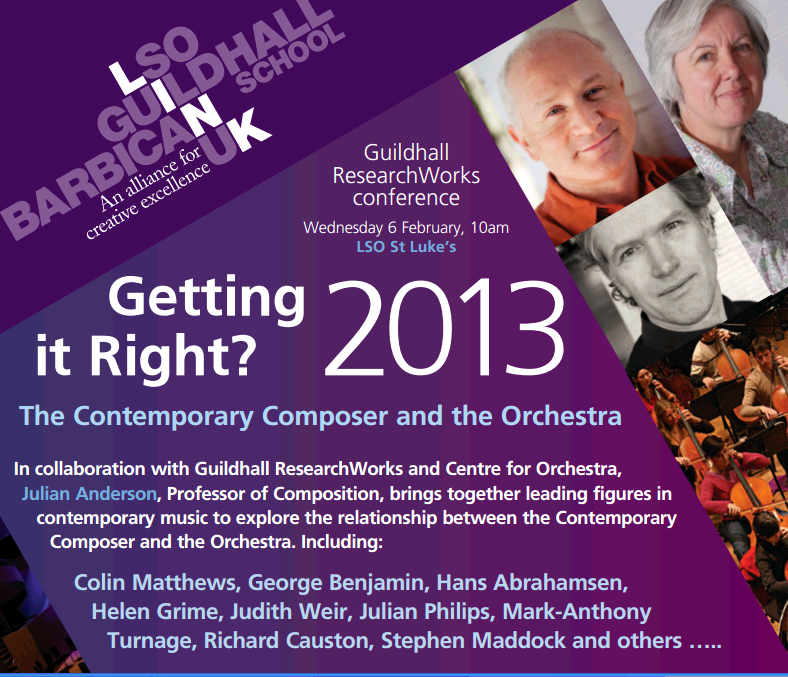 Guildhall ResearchWorks' Getting it Right 2013: the contemporary composer and the orchestra was a conference organised by the Guildhall School of Music and Drama and the LSO which looked at the relationship between contemporary composers and the orchestra. Taking place on Wednesday 6 February at LSO St. Lukes. This is the second part of my conference report, covering the afternoon sessions with panel discussions and presentations including composers Gunther Schuller, George Benjamin, Hans Abrahamsen, Julian Philips, Helen Grimes and Richard Causton. The first part can be found in an earlier posting on this blog. 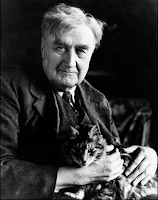 The Oxford University Summer School for Adults is offering the opportunity this summer to learn more about the music of Ralph Vaughan Williams. From Saturday 3 August to Saturday 10 August Dr Peter Copley will be teaching a course on RVW's music. The cost is from £590 for seven day course with sessions on background, folksong, his early maturity and other influences, the First World War, new directions post-war, the 1930's (an important decade for RVW's development), the Second World War, RVW and film and a final two sessions on his indian summer. It is hoped that the course will be of interest to musicians, though no specialist knowledge is required for participation. Further information from the OUSSA website (there are lots of other fascinating non-musical courses). 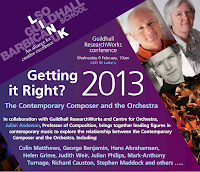 Guildhall ResearchWorks' Getting it Right 2013: the contemporary composer and the orchestra was a conference organised by the Guildhall School of Music and Drama and the LSO which looked at the relationship between contemporary composers and the orchestra. Taking place on Wednesday 6 February at LSO St. Lukes, the participants included a number of distinguished composers and orchestra managers led by Julian Anderson, professor of composition at the Guildhall School. 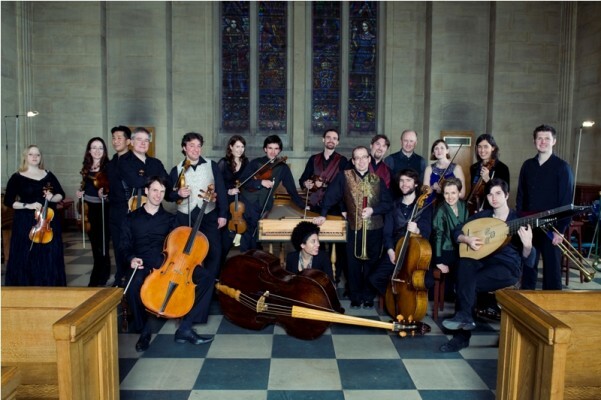 Composers Mark Antony Turnage, Colin Matthew, Judith Weir, Paul Newland, Julian Anderson, Julian Philips, Helen Grime, Matthew Kaner, Richard Causton, Kate Romano, Hans Abrahamson and George Benjamin came together with managers and administrators, Kathryn McDowell, Paul Hughes, Stephen Maddock, Andrew Kurowski and Helen Gaunt, along with violinist David Alberman to talk about what does, and doesn't work in the modern relationship between composer and orchestra. Their was also a Skype video link-up with Gunther Schuller, now 87 he is an important figure in the creation and dissemination of contemporary music in the 20th and 21st centuries. Joyce DiDonato's Drama Queens show arrived in town. To a packed Barbican Hall last night (6 February 2013) she and Il Complesso Barocco performed a programme of baroque arias, based on the recent CD. There were CD's for sale and Ms DiDonato was of course signing them after the event, there was even an album of the printed music, which was rather a charming innovation. Though the idea of anyone being able to sing along with Ms DiDonato is far fetched. For the concert she wore a most amazing red dress by Vivienne Westwood Couture and looked every in the diva. Of course all the hoop-la would not work if it wasn't for the fact that DiDonato can sing these arias quite superbly. The rather varied audience were extremely enthusiastic about a programme of arias by Cesti, Monteverdi, Giacomelli, Orlandini, Hasse, Handel and Porta, arias that most of us have never had chance to hear in public and which make strong technical demands on the performer. Alex Esposito is a young (born 1975) Italian bass-baritone who has made a name for himself singing bel canto repertoire, mixing Mozart, Rossini and Donizetti, (including being the first native Italian to sing Papageno in German at La Scala). In the near future he will be making his debut as the four villains in Le Contes d'Hoffmann in Oslo, and as Nick Shadow in The Rakes Progress. Last night (5 February 2013) he made is debut at Rosenblatt Recitals at Wigmore Hall, accompanied by Giulio Zappa, in a programme which included arias by Bellini, Donizetti, Rossini and Mozart, plus music by Cesti, Carissimi, Beethoven and Tosti. 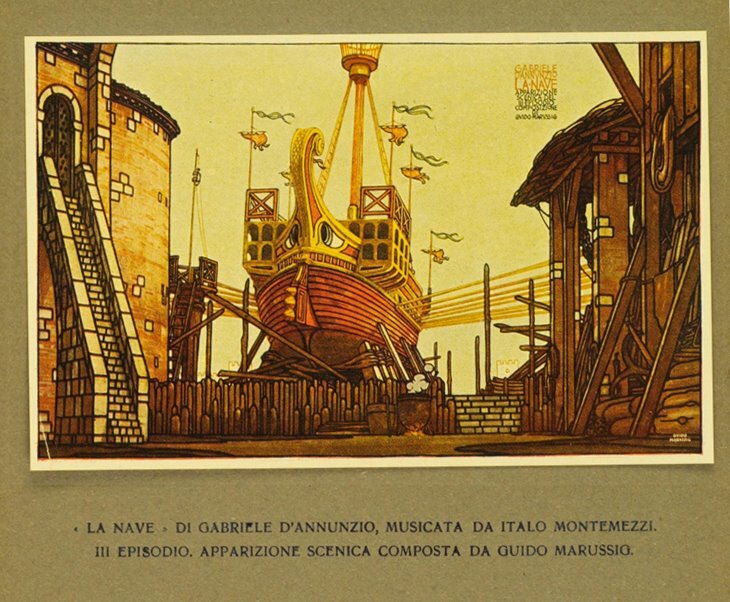 Italo Montemezzi's opera Nave premiered in 1918 at La Scala, Milan. 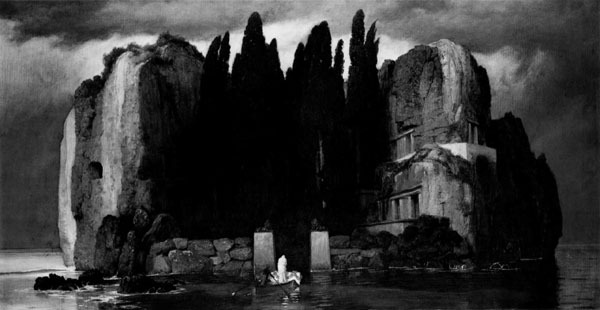 It was meant to cement his reputation following the success of L'Amore di Tre Re in 1913. His publishers, Ricordi, had high hopes that he would be a talent to replace Puccini and it was Tito Ricordi who adapted Gabriele D'Annunzio's play La Nave for Montemezzi. No expense was spared, the sets by Guido Marussig were highly realistic and included a complete ship, built as an independent structure, which was the focal point of the final scene as it was launched, with the heroine Basiliola strapped to the bow as the figure head! (see photo of the original sets at the bottom of this article). The plot was gruesome and the adaptation cut out a lot of D'Annunzio's poetry. Rather than being a success, critics complained and Montemezzi never wrote another full scale opera. It is nice to see that Sound and Music is reviving a pair of awards originally initiated by the SPNM (Society for the Promotion of New Music) which is one of Sound and Music's predecessor organisations. Not only is it good to see the organisation showing a sense of history (something it has rather lacked in recent years), but also both awards will help new composers in all genres. 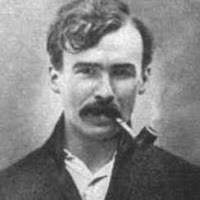 The George Butterworth Prize will be awarded annually and the Francis Chagrin Awards presented three times per year. 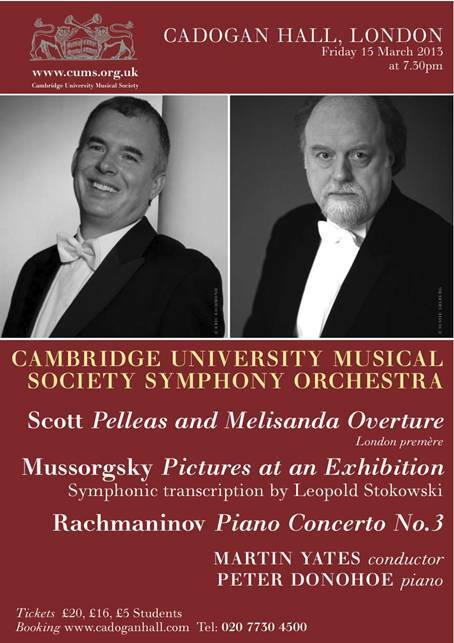 The Cambridge Music Society (CUMS) Symphony Orchestra is coming to London's Cadogan Hall on Friday 15 March 2013 with a rather fascinating programme which includes a Cyril Scott premiere, Mussorgsky's Pictures at an Exhibition but not in the Ravel orchestration and Rachmaninov's Third Piano Concerto with Peter Donohoe as soloist. The orchestra will be conducted by Martin Yates, its principal conductor. The CUMS Symphony Orchestra is Cambridge University’s finest symphony orchestra, drawn from top student instrumentalists in Cambridge. 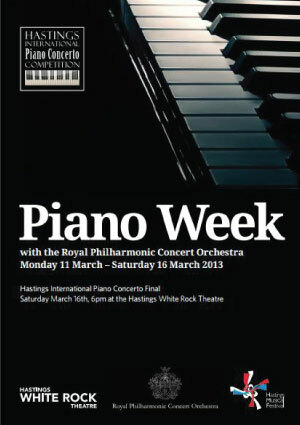 Hastings Piano Week runs from 11 March to 16 March 2013 with the culmination being the final of the Hastings Piano Concerto Competition on Saturday 16 March with the Royal Philharmonic Concert Orchestra at the White Rock Theatre in Hastings. The competition is open to pianists aged 16 to 30. Entry is by audition via CD or DVD, there are then three public stages of the competition. An initial concerto round, performed on two pianos, a recital semi-final and the concerto final with orchestra. The prescribed list of concertos covers the main repertoire by Mozart, Beethoven, Mendelssohn, Chopin, Schumann, Liszt, Saint-Saens, Tchaikovsky, Grieg and Rachmaninov. Joined up thinking - why no Kaiser festival? 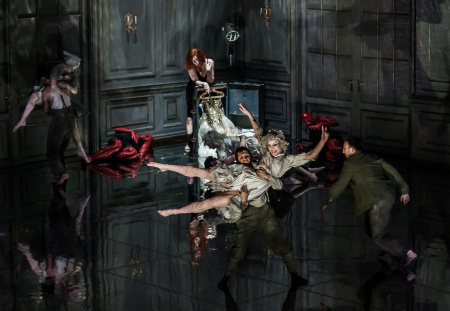 Anyone reading the National Theatre's plans for their 50th anniversary season might have noticed, besides works by Shakespeare, Marlowe and Pirandello, a play by the German expressionist playwright Georg Kaiser (1878 - 1945). Melly Still will be directing Kaiser's From Morning to Midnight in November in a new version by Dennis Kelly. Those with long memories will remember ENO's performances of David Sawyer's opera, based on the play, at the London Coliseum in 2001. The opera wasn't perfect, but it had a lot going for it (see Tom Sutcliffe's review for the Evening Standard) though was never revived. Kaiser himself worked on two operas with Kurt Weill (in Weill's pre-Brecht period), Der Protagonist (1926) and Der Zar lässt sich photographieren (1928), both of which have had occasional revivals. Kaiser and Weill also collaborated on Der Silbersee (1933), a rather magical parable which is more play with music than opera or operetta. Some productions of the piece have sought to jazz it up with extra Weill songs. But those with even longer memories may remember the rather moving Camden Festival production from 1987 with a cast which included Nigel Robson and Meriel Dickinson, mixing singing actors and acting singers. So why isn't any of this featuring in the autumn schedules of other companies. Festivals like Britten100 and the South Bank's The Rest is Noise show what can be done with collaboration. 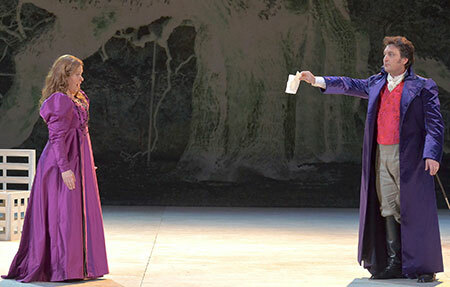 So why didn't someone come up with a mini-Kaiser/Weill festival to go with the National Theatre's performances. It would seem to have a lot going for it, expressionist drama, music by Kurt Weill and music by a fine contemporary composer. Come one you lot, lets have a bit more joined up thinking, collaboration and imagination please. Spitalfields Music Summer Festival runs from 7 June to 22 June 2013 and is a fascinating mix of contemporary music, community events and period performance, with some events mixing everything up. Also mixing everything up are the venues, ranging from Christ Church Spitalfields and St Leonard's Church, Shoreditch, to Hoxton Arches, Village Underground, Hoxton Hall, Rich Mix. Christian Curnyn's Early Opera are associated artists, performing three events, but the festival has a wonderful variety of visiting artists as well as native talent. 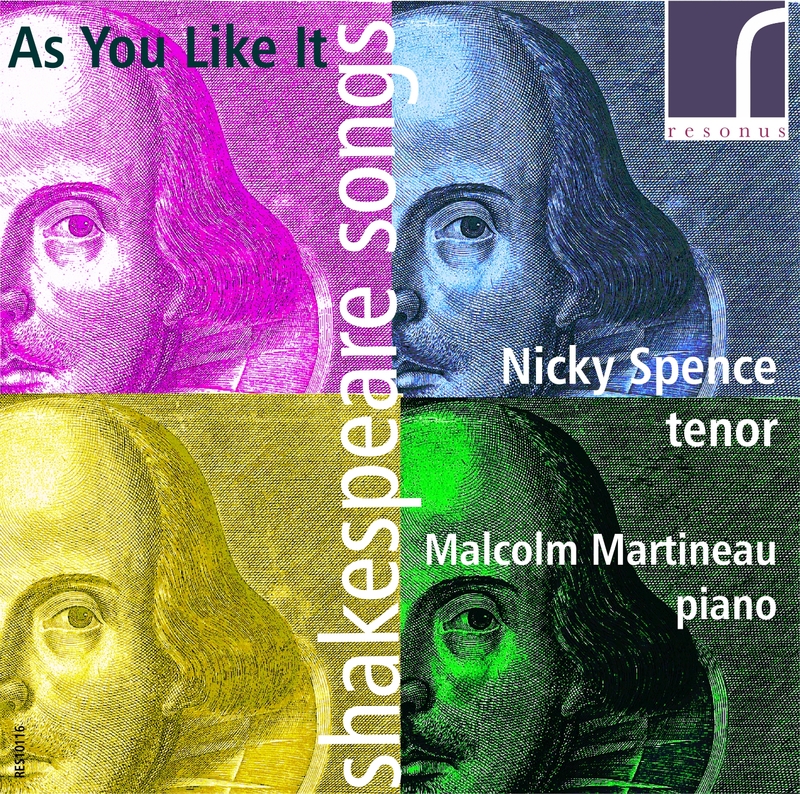 Nicky Spence and Malcolm Martineau's new recital disc, As You Like It: Shakespeare Songs has been released on the Resonus Classics label, a digital only label which means that the disc is only available for download. 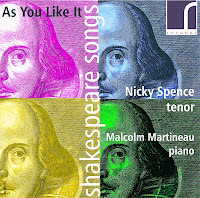 The disc contains a delightfully eclectic selection of settings of Shakespeare in English and in translation, mixing classic repertoire with lesser known pieces and the first recording of Alex Woolf's Three Tempestuous Tunes, all characterised by the great care, attention and musicality of both performers. 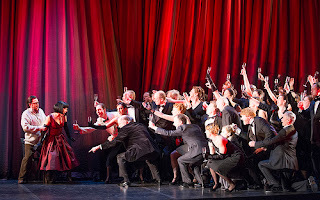 New Year on Planet Hugill started with the Royal Opera House opening its doors, with a day of video streamed events. We also saw the new film by their new Director of Opera, Kasper Holten, based on Mozart's Don Giovanni. Harrison Birtwistle's The Minotaur made a welcome reappearance at Covent Garden, with John Tomlinson again in the title role. English National Opera's new production of Verdi's La traviata is a co-production with Opera Graz. Peter Konwitschny's production was seen there in 2011 and has already been filmed. It has now opened at the London Coliseum (2 February 2013) with a new cast, and represents Konwitschny's debut in the UK, with Michaela Baluensteiner as assistant director and Johannes Leiacker as designer. In a strong cast, American soprano Corinne Winters, making her European debut, sang Violetta, ENO Harewood Artist Ben Johnson made his debut as Alfredo and Anthony Michaels-Moore sang Giorgio Germont. 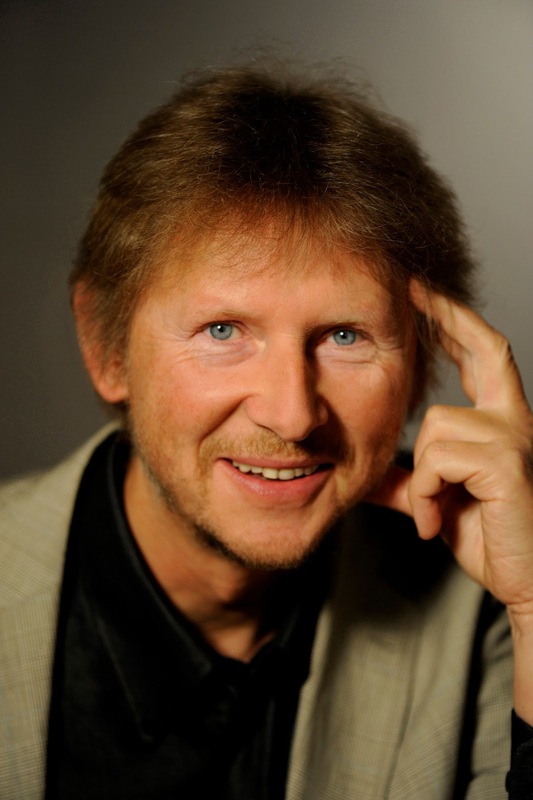 The conductor was Michael Hofstetter, principal conductor at Graz. In February, JAM (John Armitage Memorial) is returning to Scotland with concerts in St Andrews, Edinburgh and Glasgow, visiting Glasgow for the first time. There are two programmes, one for strings done in collaboration with Red Note, one of Scotland's leading contemporary programmes, and a choral programme which combines choirs from St. Andrew's, Edinburgh and Aberdeen. 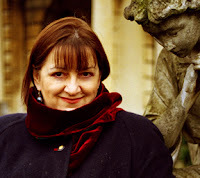 The concerts will commemorate Judith Bingham's 60th birthday last year, Britten's centenary, the 20th anniversary of Kenneth Leighton's death as well as performing contemporary works by Rory Boyle, Julian Philips and Phillip Cooke. BOP Consulting has produced a report for the City of London Corporation. Rather fearsomely entitled The Economic, Social and Cultural Impact of the City Arts and Culture Cluster, it looks at the economic benefits of the arts within the City of London. This is a purely economic report, it doesn't look at the well-being benefits of participation in the arts, but it still makes rather impressive reading. Visitors who come for the arts events, provide significant economic benefit via their extra spending on accommodation and other extras. And the arts are reaching out in an impressive variety of ways with learning and volunteering. We went to Gary Matthewman's Lied in London recital last night (31 January), and quite a treat it was. 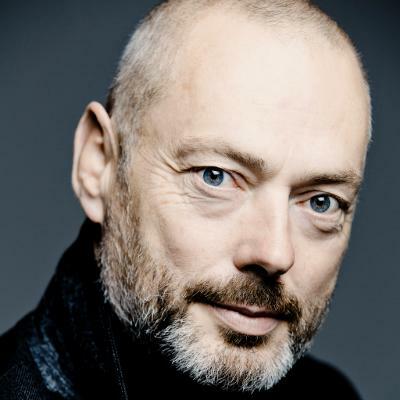 Mark Padmore singing Schubert's Schwanengesang. We'd seen Mark singing the same work at the Wimbledon Festival last November (see my review on this blog), but a change of venue and a change of pianist inevitably meant that we heard it with new ears. Partly this was because the venue was even smaller and more intimate than St Johns Church, in Wimbledon. Partly because with a great artist like Mark Padmore, no performance is ever quite the same and you always hear something new. 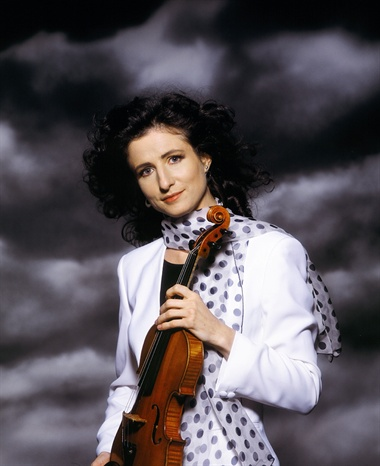 The King’s Place Bach Unwrapped series showed off violin gems last night. Rachel Podger performed Bach’s (1685-1750) Sonata no. 1 in G minor and Partita no. 1 in B minor, and with Marcin Świątkiewicz played Sonata no. 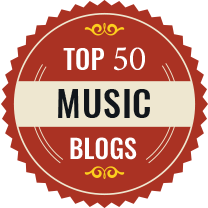 4 in C minor and Sonata no.1 in B minor for violin and harpsichord. We were also treated to an extra titbit of the Cantabile from Bach’s Sonata no. 6 for violin and obbligato harpsichord which beautifully rounded off the concert. Italian songs from the 19th and early 20th century can sometimes seem a little disappointing, not up to the standard of the operas that the composers were writing and rather too close to salon music when compared to French and German song. Part of the problem is that we usually hear them as part of a mixed programme, which can cruelly cruelly show up the songs in relief either by including more complex art songs or by contrasting the songs with the same composer's operatic output.